Incredible Console-Quality Gameplay and Graphics! 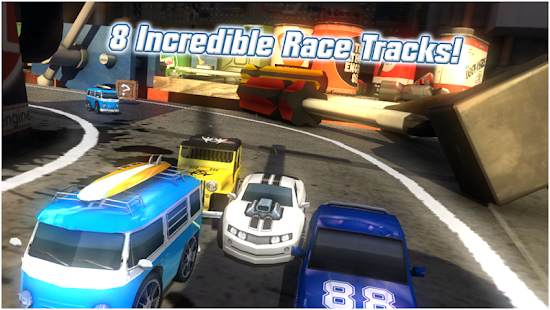 From the co-creator of Sony’s blockbuster PlayStation franchise ‘WipEout’ comes ‘Table Top Racing’, a fast and furious combat racing game featuring console quality graphics and game play. 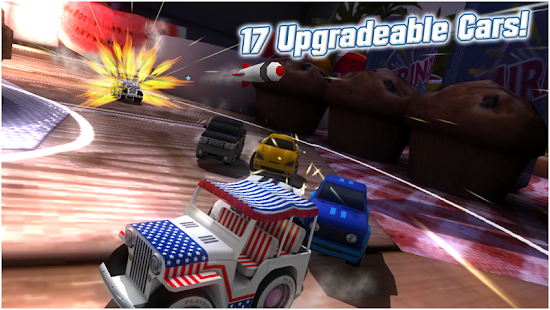 ‘Table Top Racing’ pits all manner of crazy cars and automobiles against each other in a world of table top race tracks and over-sized obstacles.